HAUTE LIVING - The curtain has fallen on the 13th season of Festival Napa Valley. Ten days of world-class talent has left hearts full and minds inspired. From the stunning performances to the unprecedented generosity at The Arts for All Gala, much of the magic that happened at the festival encompasses community, strength, passion, and heart. This year’s season was in dedication to the brave firefighters who fought the 2017 Napa fires—those who risked their lives in preserving the beautiful valley. The art, wine, and music that infiltrates the valley for ten days have a common thread: they invite us to enjoy, to share, and to celebrate. This year’s festival was genuinely spectacular. A heartfelt thanks to the festival’s founder and president, Rick Walker, its COO Sonia Tolbert, and executive producer Charles Letourneau. This trio and their entire team outdid themselves. Here we share the most memorable highlights of the 2018 Festival. 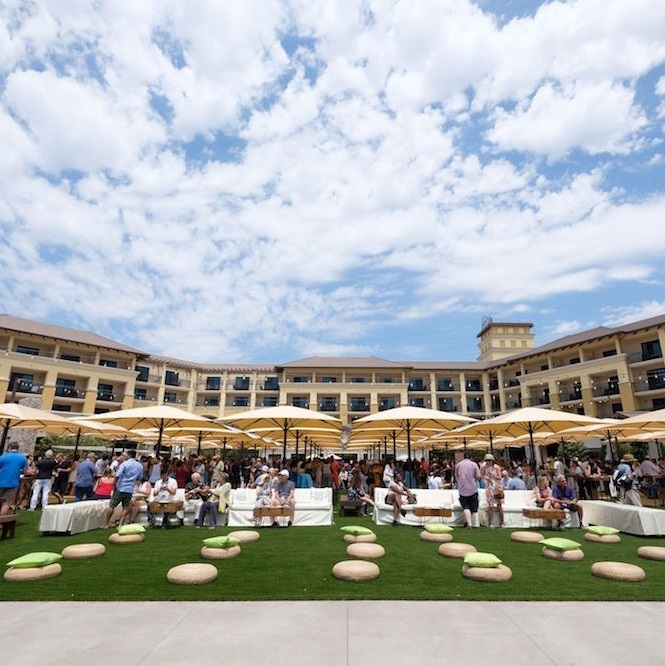 One of the favorite festival events every summer is the food-centric Taste of Napa. It is a beautiful spread featuring the best culinary and wine collections in Napa Valley. This year’s gathering was at the intimate Vista Collina Resort—a new hotel in the area. More than 70 local wineries, restaurants, and top artisans showcased their scrumptious fare for guests to enjoy. The afternoon also featured live music by the renowned harpist and violinist Carlos Reyes and vocalist Tony Lindsay. Famed chef Ryan Scott also made an appearance. The Reserve Tasting Salon offered sips of Napa Valley’s most prestigious wines.